If you’re in the field of analytics, you’ve undoubtedly heard about SAS Viya, our new, open analytic platform. Designed for all analytic professionals, regardless of skills or experience, SAS Viya seamlessly handles big, complex, diverse data and can bridge SAS 9.4. It also provides a tool that supports any programming language, allowing analysts to choose the tool that makes them most productive. Recently a colleague of mine, Leo Sadovy, wrote the blog post SAS Viya: What’s in it for me? The business? This post describes the benefits of SAS Viya for the line of business owner. Spoiler alert: When it comes to analytics, SAS Viya provides the best of all worlds. 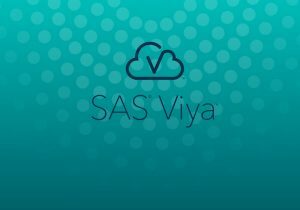 But what does SAS Viya mean to me … if I’m a current SAS user? As the communication manager for our existing SAS user base, Leo’s post inspired me to ask a similar question on behalf of our SAS users. So, I hit the road, found a few smart colleagues (who know a lot more than I do about SAS Viya!) and recorded the Facebook Live video you’ll find attached below. You’ll learn what SAS Viya is and what motivated us to create it, what it means to you as a SAS user (a new or longtime one), and what learning tools and other resources are available to you to learn even more. And, if you have any other questions about SAS Viya, feel free to leave them in the comments field. I’ll get back to if I have the answer… or find someone else who can help, if I don't! SAS Viya: What’s in it for me? The user. was published on SAS Users.